Our handbook for beginners offers an introduction to WordPress, the amazing open-source website platform. You’ll learn the benefits of using WordPress, as well as step-by-step instructions for getting familiar with the WordPress Dashboard. You’ll also learn about WordPress themes and plugins, how to create your first post or page, and optimize your site for search engines—all with helpful links to video tutorials. You’re in good company if you use WordPress to publish on the web. Many famous blogs, news outlets, music sites, Fortune 500 companies and celebrities are using WordPress. For example, famous blogs like Mashable and TechCrunch are both on WordPress. News outlets like The New York Times’ blogs and CNN’s on-air personality blogs all use WordPress, too. If you’re ever curious about about who uses WordPress, head on over to the WordPress site showcase and you’ll be impressed by the number of well-known sites and famous people using WordPress to power their websites. One of the most often asked question by our users is “Do I have to pay to use WordPress?”. 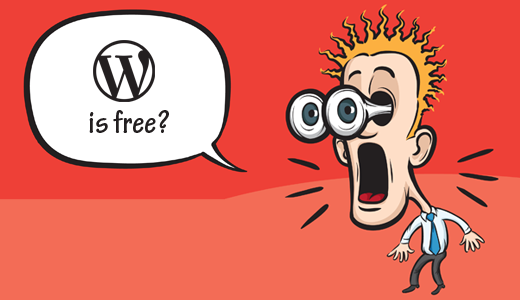 We tell them that WordPress is a free and open source software, which is usually followed by, “Why is WordPress Free?”. In this post, we will discuss why WordPress is free, the costs of running a WordPress site, and what’s the catch? WordPress is an open source software. It is free in the sense of freedom not in the sense of free beer. You may ask what is the difference between these two? 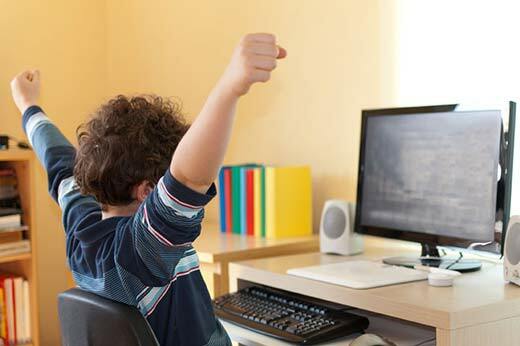 Open Source software comes with freedom for you to use, modify, build upon, and redistribute the software in any way you like. However, there might be costs involved somewhere. We will discuss the cost of using the open source WordPress software later in this article. We often get asked why don’t people and companies behind WordPress sell it? If WordPress is as good as everyone says, then they would obviously make a lot more money by selling it. This statement would make sense, if a single company or individual owned WordPress. WordPress is an open source community project where tens of thousands of talented people have made contributions to make it into a great software that it is today. There is a core team of developers that lead the project development, but anyone can contribute patches, report bugs, suggest features etc. Furthermore, project leaders change from one version to another. If you get involved into the community, then you can easily become a core contributor of WordPress. The philosophy behind Open Source software movement is that software are not like other tangible products. Once a software is created, it can be copied many times with little cost. Let’s take example of a toy factory. Each toy manufactured has different parts and each part has a cost. The manufacturing cost of these parts can be calculated by the factory to decide a reasonable profit margin for the product. On the other hand the cost of creating a software and making copies of it is not the same. Some groups believe that with each copy sold, the profit margin of the software becomes more unfair. To understand more about open source software, check out GNU’s Philosophy. The two main profitable parts of any open source software are products or services based on the same open source software. People often confuse WordPress with WordPress.com. WordPress (often referred to self-hosted WordPress or WordPress.org) is a free blogging platform. Matt Mullenweg, co-founding developer of WordPress, launched a company called Automattic which provides “restricted” free blog hosting service at WordPress.com, and you can pay/upgrade to unlock features such as CSS modification etc. However, to get the full power of WordPress.org on WP.com service, you have to spend over $3250 per month for hosting. In May 2014, Automattic raised a series C investment round of $160 Million which valued the company at $1.16 Billion. WPEngine, a managed WordPress hosting company that has raised over $40 million dollars. Awesome Motive – led by Syed Balkhi is another multi-million dollar company based around WordPress. The company manages WPBeginner, OptinMonster, Envira Gallery, WPForms, Soliloquy, MonsterInsights, and other popular WordPress plugins. Sucuri – the popular WordPress security solution in the market. iThemes – one of the oldest and well-established WordPress company behind popular plugins like BackupBuddy. ElegantThemes – multi-million dollar theme company behind the popular drag & drop page builder: Divi. Gravity Forms – the most well known premium WordPress form plugin. Good WordPress developers and consultants also make a comfortable full-time income by building custom websites, applications, and plugins around WordPress for their clients. Some of them are doing over six-figures in annual earnings by themselves. It is released under GPL, so you are free to use, modify, and redistribute the code. You will have the copyright to modifications you make to the software not the entire code. GPL requires that any derivative work you release or distribute should be licensed under GPL as well. So while you may have the copyright to do anything you like, your derivative work automatically inherits the GPL license so others are free to use, modify, and redistribute your code in any way they choose. For example, if you are sharing your artwork on your blog, then you own full copyrights of it. However if you are writing a blog post showing people how to use a WordPress function with examples, then that particular blog post could be licensed differently. The code used in examples is actually derivative work and automatically inherits the GPL license. 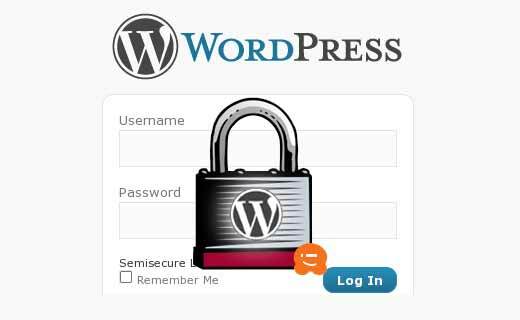 The code of WordPress as a software is released under GPL but the words WordPress, WordCamp, and the WordPress Logo are registered trademarks owned by WordPress Foundation. To distinguish between a site or resource that is official or community run, the foundation asks folks to not use “WordPress” in their domain name. You can use WordPress.com to create a free blog, but be aware that there are some differences – WordPress vs. WordPress.com [infographic]. The cost of using WordPress is relatively minimal and hold true for running any other type of website as well. The only real cost is web hosting and domain. WPBeginner users can get a domain name and web hosting for as low as $3.95/month from Bluehost or Siteground (both officially recommended WordPress hosting providers). Additional costs would be commercial WordPress themes. However, you are not required to use those. There are 4000+ free WordPress themes that you can use. 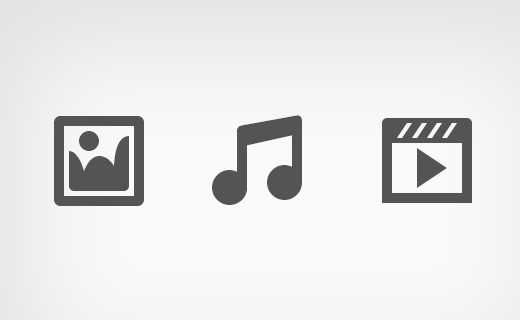 People often use commercial plugins, but you are not required to use those as well. There are over 45,000 free WordPress plugins. So why do people buy paid themes or plugins? Free themes are being used everywhere. To get a little more exclusive design and feel for the site, folks often purchase a commercial “premium” theme. Another reason to purchase a paid theme or a plugin is to get support. Free theme or plugin providers are not required to offer support or updates because it is usually their passion project. However, paid plugin and theme shops offer regular support and updates because it is their business. We hope that this article answers some questions about WordPress licensing, the costs of running a WordPress site, and the business around WordPress. Please feel free to add your comments, questions and feedback below.